Akeno Speed Racing’s Makoto Inagaki powered to a fantastic pole position in a hard-fought qualifying session for the final round of the PETRONAS Asia Road Racing Championship at the Losail International Circuit in Qatar on Saturday. The seasoned contender shocked rivals to steal pole in the last five minutes of the qualifying session with a record lap time of 2’04.646s replacing the previous 2’05.379s benchmark set by reigning champion, Azlan Shah Kamaruzaman last season. Lining alongside Inagaki are SuperSports 600cc title candidates Yuki Ito (PETRONAS Hong Leong Yamaha) and Zamri Baba (Musashi Boon Siew Honda) with 2’04.727s and 2’04.743s respectively. Second row is made up of Zaqhwan Zaidi 2’04.851s followed by Yudhistira (Manual Tech KYT Kawasaki Racing) 2’04.958s and championship leader, Katsuaki Fujiwara (BEET Kawasaki Racing) with 2’05.186s. Makoto Tamada would be the last of the riders to break last season’s qualifying lap record. He will take off from third row having clocked his best lap time at 2’05.324s alongside Jakkrit Swangswat (AP Honda Thailand) and Tomoyoshi Koyama (T.Pro Yuzy Honda) with 2’05.391s and 2’05.450s respectively. Meanwhile Gupita Kresna returned from a low-key run in Friday’s opening practice to seize pole position in the Underbone 130cc. 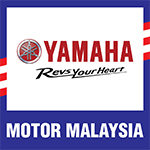 The Kawasaki KYT Rextor Manual Tech rider will start from front row alongside Indonesian compatriot, Ferlando Herdian (Faito Factory Racing) and Kazuki Masaki (Team Honda RSC). Gupita who had also topped the final practice earlier on Saturday took pole with a record lap time of 2’31.713s, 0.479 seconds ahead of Ferlando who posted the next best effort in 2’32.192s while Friday’s quickest rider, Masaki settled for third with 2’33.097s having struggled to improve his pace. Gupita’s immediate title contender, Norizman Ismail (Harian Metro Y-TEQ SCK Honda Racing) starts from second row with 2’33.188s alongside Izzat Zaidi Salehan (Motul Yamaha YY Pang) and Amirul Ariff Musa (T.Pro Yuzy Honda) with 2’33.518s and 2’33.523s respectively. Leading the championship with 148 points, Gupita only needs another 20 points to clinch the Underbone crown tomorrow and if he succeeds, not only will it be his maiden Asian title but it will also mark Indonesia’s fifth consecutive year winning the Underbone title.